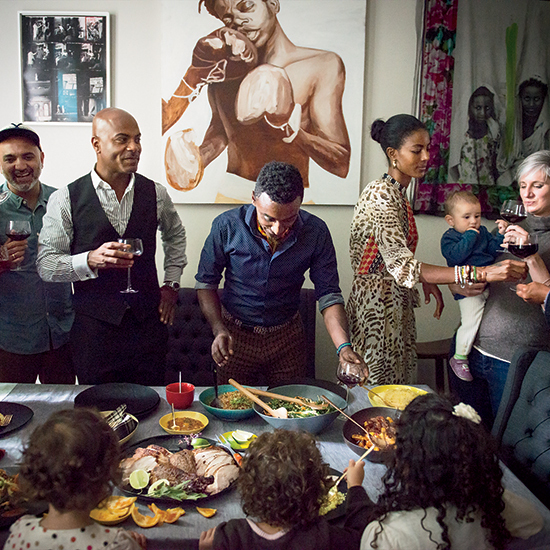 There's still time left to nab tickets to the new Marcus Samuelsson-endorsed Harlem EatUp! festival, co-hosted with Bill Clinton and happening May 14 to 17. There's still time left to nab tickets to the first-ever Marcus Samuelsson-endorsed Harlem EatUp! festival, happening May 14 to 17. Samuelsson (who's coming off a busy few weeks after opening his new rotisserie chicken project, Streetbird) has partnered with Bill Clinton and event marketer Herb Karlitz on the four-day festival designed to highlight the historic neighborhood's current culinary scene. The chef has also called in a crew of his high-profile chef friends to collaborate on dinners with locals, speak on panels and host cooking demos. While a handful of events are sold out, there are plenty of prime spots left for dinners featuring all-star out-of-towners in addition to local talent. Available options include a dinner cooked by Ludo Lefebvre with Dinosaur Bar-B-Que's John Stage and a feast prepared by Linton Hopkins at Spanish-Italian spot Vinatería alongside chef Gustavo López. Aspiring cooks can also listen in on a panel that includes Samuelsson, Alex Guarnaschelli, Scott Conant, Michael White, JJ Johnson and Ted Allen. You can see the full list of available events here.